Look pretty in pink in this cute floral top that is sure to be your go-to piece. Team it with a pair of white jeans and look chic. 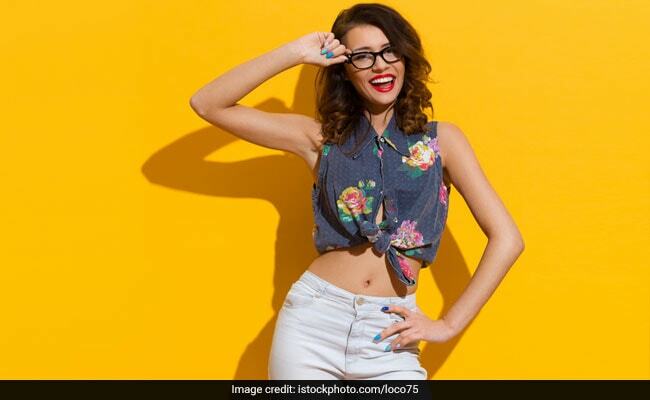 You can buy this floral top for a discounted price of Rs 398. Shop here. Make a chic style statement by stocking up your casual wardrobe with this pretty top from Pantaloons. On deep maroon base, it features contrast standout floral prints. 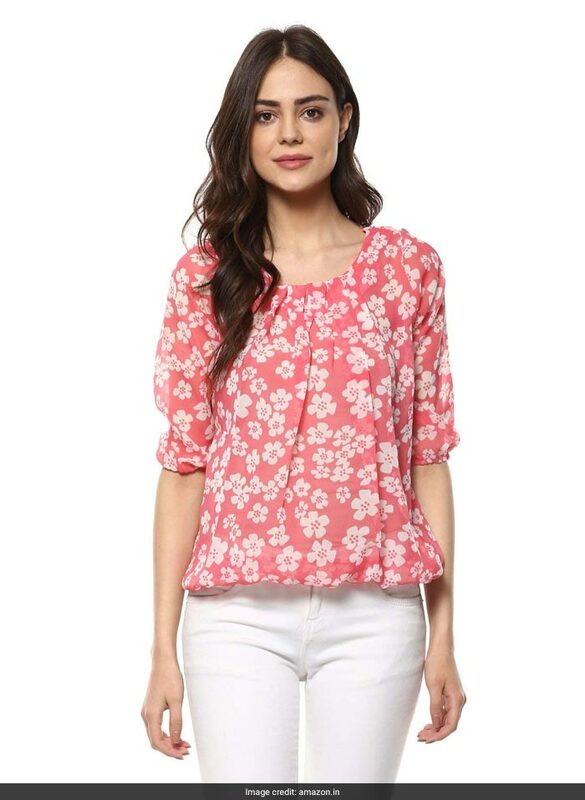 You can buy this floral top for a discounted price starting at Rs 419. Shop here. This multi-purpose top is sure to become your favourite. Wear it with denim or team it with monochrome trousers to stay on point. 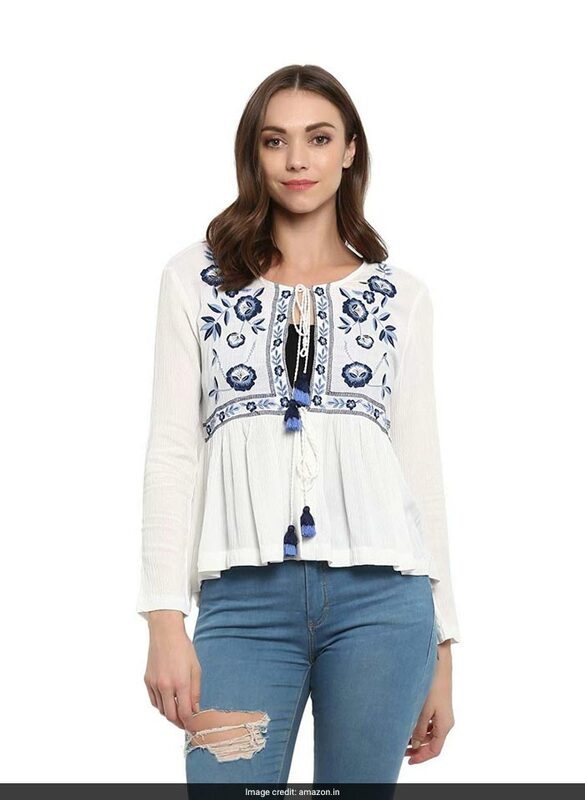 You can buy this floral top for a discounted price starting at Rs 661. Shop here. 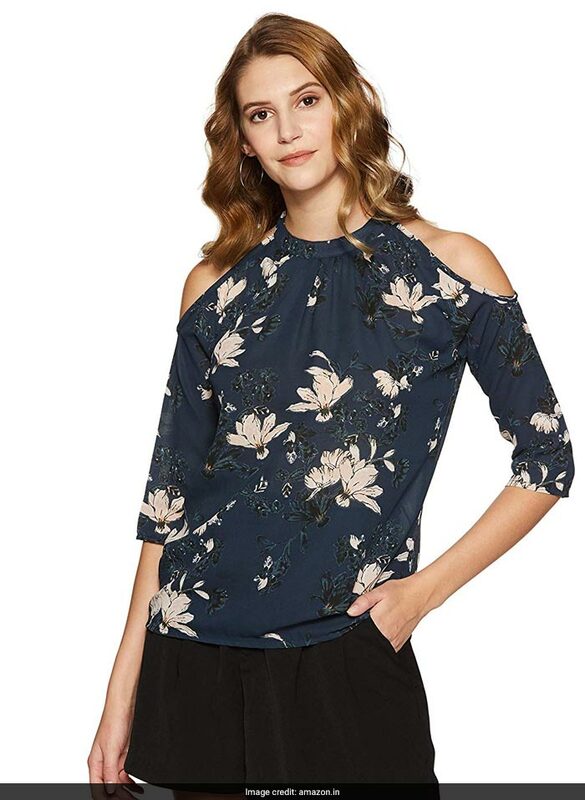 Keep it casual and chic by sporting this striking floral top. In favourite hues of blue and white, it will keep you looking as fresh as a daisy. 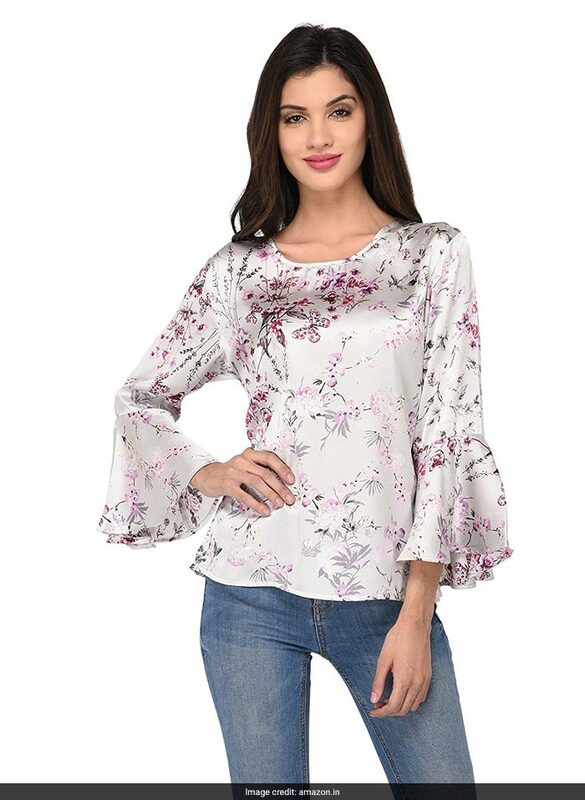 You can buy this floral top for a discounted price starting at Rs 599. Shop here. Love red a bit too much? Pick this standout top and stay chic for spring-summer. 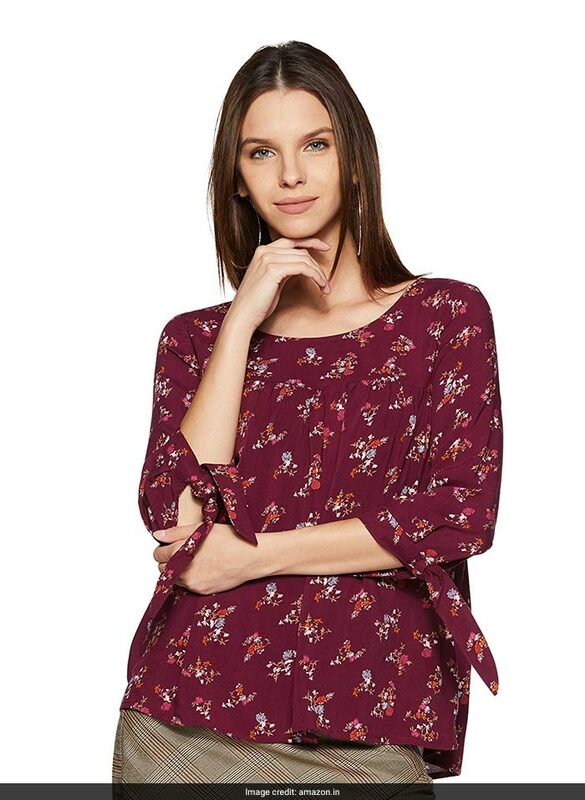 You can buy this floral top for a discounted price starting at Rs 419. Shop here. Notch up your casual style in this blue top from Krave. 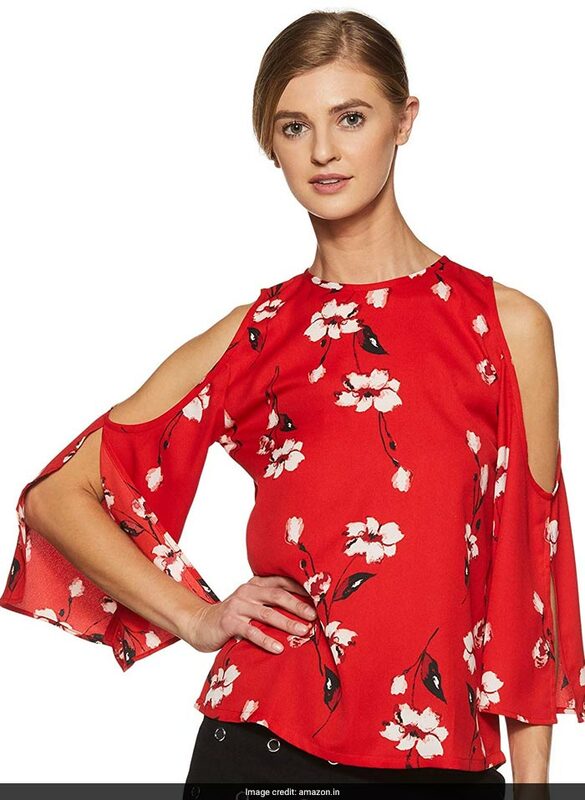 It features floral prints and has cold shoulder cuts. 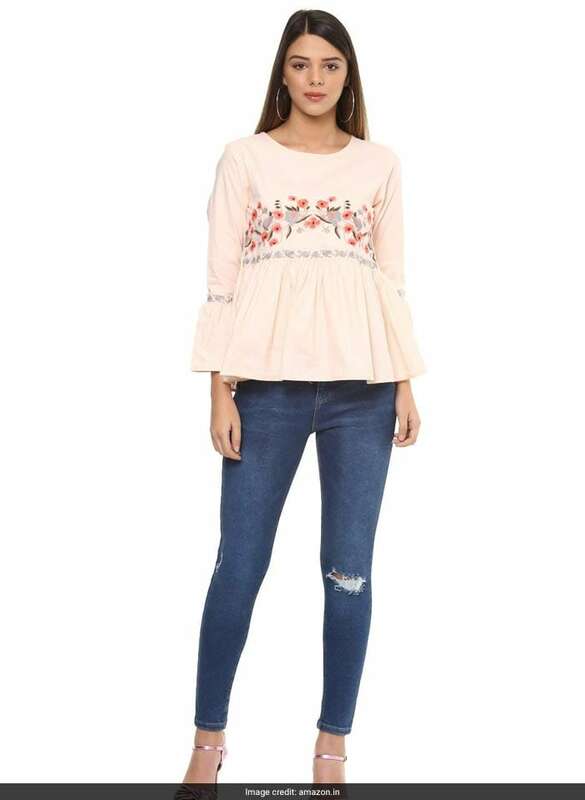 You can buy this floral top for a discounted price starting at Rs 419. Shop here. This satin top will keep you covered through the spring season to help you nail various looks. It features a sleek fit with bell sleeves. You can buy this floral top for a discounted price starting at Rs 419. Shop here. Stock up your style closet with these pretty floral tops and stay chic.